With the Heat-N-Eat Soup Mixes you simply bring 4 cups of Water to a boil, add the soup mix and simmer for 15-20 minutes. Shipped in Food-Grade bags unless jar is specifically requested. Store in a standard mason style jar to maintain freshness. 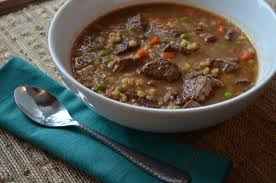 This Beef Barley Soup is a hearty favorite and super great taking it on the go in a thermos. Bring 3 3/4 cups of water to a boil. Add soup mix and blend well. Return soup to a boil then reduce heat. Simmer 30-35 minutes, stir occasionally. Barley, dehydrated vegetables (potatoes, carrots, onions, tomatoes, peas, leeks, parsley), modified corn starch, salt, autolyzed yeast extract, palm oil, sugar, natural flavors, maltodextrin, burgundy wine solids, caramel color, beef fat, hydrolyzed corn, wheat & soy protein, disodium inosinate and disodium guanylate, beef powder, spice and sulfiting agents. 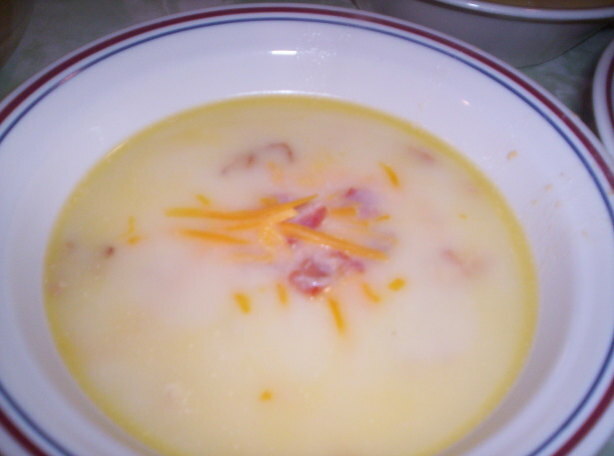 Cheddar Potato Soup is the perfect combination of potatoes and cheddar cheese, making this hearty cream soup a favorite. 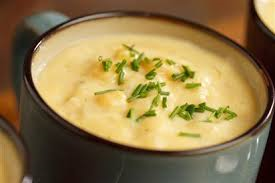 Add ham or chicken to make a this Cheddar Potato soup a complete meal. Bring 4 cups of water to a rolling boil. Whisk in soup mix. Reduce heat to Medium and simmer uncovered 15 minutes, stirring occasionally. Salt and pepper to taste. Yield: About 4 one-cup servings. Potatoes, Modified Corn Starch, Maltodextrin, Palm Oil, Cheddar and Blue Cheeses (Milk, Salt, Culture, Annatto, Enzymes), Onions, Salt, Corn Syrup Solids, Natural and Artificial Flavors, Partially Hydrogenated Soybean Oil, Worcestershire Sauce (Molasses, Vinegar, Corn Syrup Solids, Salt, Caramel Color, Garlic, Spices, Tamarind, Natural Flavor), Parsley, Sodium Caseinate (From Milk), Xanthan Gum, Dipotassium Phosphate, Mono and Diglycerides, Hydrolyzed Soy Protein, Disodium Inosinate and Disodium Guanylate (Flavor Enhancers), Turmeric, Annatoo Color, Yellow 5 & 6. This Cheesy Enchilada Soup is a slightly spicy, thick and cheesy soup that tastes (you guessed it), just like an enchilada! Just add water! Whisk contents of package into 3 cups warm water. Add a 6 oz. can of chicken or 1/2 cup of cooked chicken if desired. 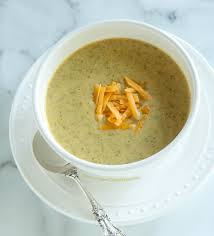 Cheddar Broccoli Soup is a velvety smooth cheddar soup dotted with broccoli florets. 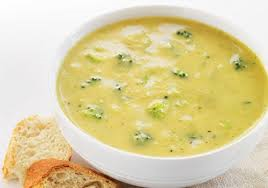 Cheddar Broccoli Soup is great by itself or as a sauce for potatoes or pasta. Bring 4 cups of water to a rolling boil. Whisk in soup mix. Reduce heat to medium and simmer uncovered 10 minutes, stirring occasionally. Salt and pepper to taste. Cheese Sauce: Reduce water by 1/2 cup, cook as directed. Serve as a sauce over baked potatoes or cooked pasta. Top with grated cheese. Store in a cool dry place. Modified Corn Starch, Whey (From Milk), Maltodextrin, Palm Oil, Cheddar and Blue Cheeses (Milk, Salt, Culture, Annatto, Enzymes), Broccoli, Salt, Onions, Monosodium Glutamate, Natural and Artificial Flavor, Partially Hydrogenated Soybean Oil, Sea Salt, Natural Chicken Flavor, Natural and Artificial Cheese Flavor, Worcestershire Sauce (Molasses, Vinegar, Corn Syrup Solids, Salt, Caramel Color, Garlic, Spices, Tamarind, Natural Flavor), Sodium Caseinate (From Milk), Autolyzed Yeast Extract, Parsley, Citric Acid, Xanthan Gum, Mono and Diglycerides, Dipotassium Phosphate, Disodium Inosinate and Disodium Guanylate (Flavor Enhancers), Spices, Annatto Color, yellow 5 & 6. 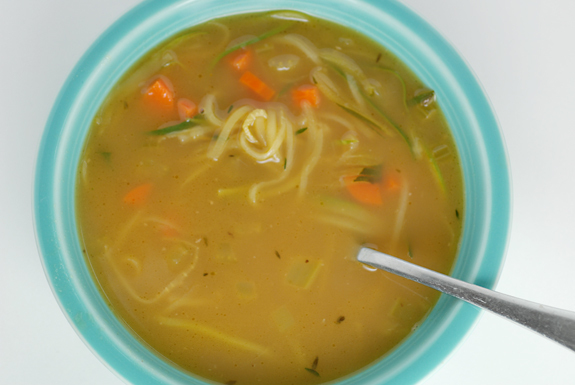 This Chicken Noodle Soup is better than mom's. 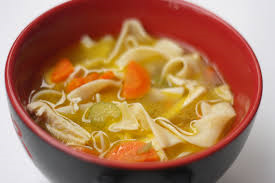 Chicken Noodle Soup is a traditional favorite that includes several types of noodles and vegetables swimming in a perfectly flavored chicken broth. Bring 4 cups of water to a rolling boil. Whisk in soup mix. Reduce heat to Medium and simmer uncovered 10 minutes, stirring occasionally. Salt and pepper to taste. Yield: About 4 one-cup servings. Enriched Egg Noodles (Wheat Flour, Eggs, Niacin, Reduced Iron, Thiamine Mononitrate, Riboflavin, Folic Acid), Enriched Pasta (Wheat Flour, Niacin, Reduced Iron, Thiamine Mononitrate, Riboflavin, Folic Acid), Natural Chicken Flavor, Corn Syrup Solids, Onions, Corn, Peas, Carrots, Celery, Maltodextrin, Palm Oil, Sodium Caseinate (From Milk), Salt, Spices, Hydrolyzed Soy Protein, Parsley, Disodium Inosinate and Disodium Guanylate (Flavor Enhancers), Turmeric, Paprika. The Italian version of Chicken Noodle Soup is an uncomplicated marvel. 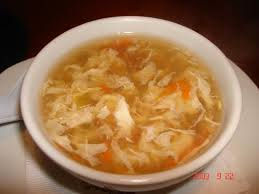 Bits of carrot, celery, onion, chicken, and of course egg pasta, are added to a hearty chicken broth to create a light, yet filling meal. Bring water to a boil in a 4 quart pot. Add mix and stir for one minute. Stir frequently to avoid possible overflow. Reduce heat to medium and cook uncovered for 15 minutes. Soup should bubble during cooking. Stir occasionally. Remove from heat. For authentic Italian taste, stir in 1 tablespoon extra virgin olive oil or cheese. Serve and enjoy. Egg noodles (durum wheat semolina, eggs), dehydrated vegetables (carrots, peas, onions, celery), salt, spices, autolyzed yeast extract, corn cereal solids, sugar, monosodium glutamate, dextrin, natural flavors (hydrolyzed corn gluten, partially hydrogenated soybean and cottonseed oil), potato starch, dehydrated chicken meat, chicken broth, chicken fat, corn salad oil, white wine, annato (for color), disodium inosinate, disodium guanylate. This Chili is not your Grandma's chili! This Chili is mildly spicy, a rich combination of beans, vegetables and rice smothered in chili tomato sauce. Bring 3 1/2 cups of water to a rolling boil. Whisk in chili mix and 1/2 can (3 oz) tomato paste. Reduce heat to medium and simmer uncovered 20 - 25 minutes, stirring occasionally. Salt and pepper to taste. Store in a cool dry place. 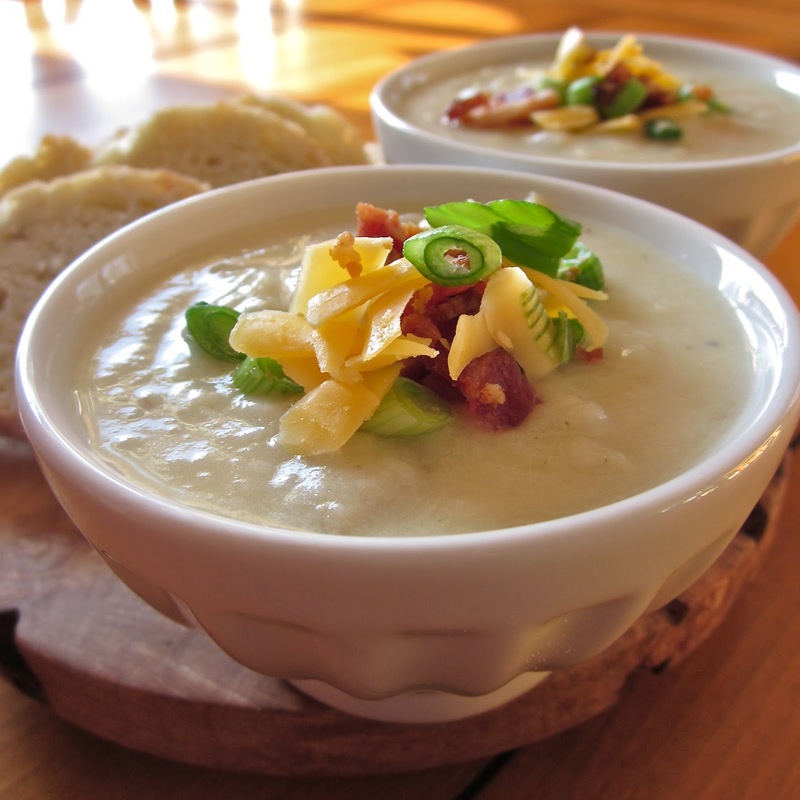 This Garlic Potato Soup is made with garlic and parmesan cheese. This award winning soup is great with ham or sausage. Bring 3 1/4 cups of water to a boil. Add soup mix and blend well. Return soup to a boil then reduce heat. Simmer 30 minutes or until potatoes are done to your liking. Stir occasionally. Dehydrated potatoes, modified corn and wheat starch, palm oil, corn syrup solids, whey, salt, partially hydrogenated soybean oil, parmesan cheese (lowfat milk, cheese cultures, salt, enzymes), nonfat milk, sugar, dehydrated garlic, sodium caseinate, xanthan gum, mono & diglycerides, natural and artificial flavor, dipotassium and sodium phosphates, citric acid, lactic acid, yeast extract, parsley, spice, soy lecithin, sodium stearoyl lactylate, polysorbate 60, paprika, dehydrated onion, annato and turmeric (added for color), and sulfiting agents. Pasta Fazool (Minestrone) is synonymous with the Southern region of Italy. 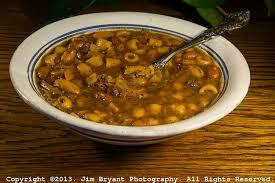 "Fazool" is from the Italian word "Fagioli", which means "bean". The Neapolitans perfected this thick, three bean, multi-vegetable pasta soup. This entitled them to rename the dish in their own dialect, and it thus became known as"Pasta Fazool." Bring water to a boil in a 3 quart pot. Reduce heat to medium and cook uncovered for 12 minutes. Soup should bubble during cooking. Stir occasionally. Remove from heat. For authentic Italian taste, stir in 1 tablespoon extra virgin olive oil. Serve and enjoy. Dehydrated Beans (Red, Pinto, Navy), Pasta (Durum Semolina, (Niacin Ferous Sulfate, Thiamine Mononitrate, Riboflavin added)), Dehydrated Vegetable (Potato, Tomato, Onion, Zucchini, Carrots, Celery, Garlic, Peas, Broccoli, Parsley), Corn Cereal Solids, Salt, Modified Food Starch, Sugar, Monosodium Glutamate, Natural Flavor (Hydrolized Corn Gluten, Partially Hydrogenated Soybean and Cottonseed Oil), Spices, Dehydrated Chicken Meat, Turmeric, Disodium Inosinate, Disodium Guanylate. 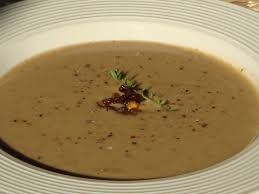 Porcini Mushroom Soup epitomizes comfort food that is perfect for a cold day or any day. 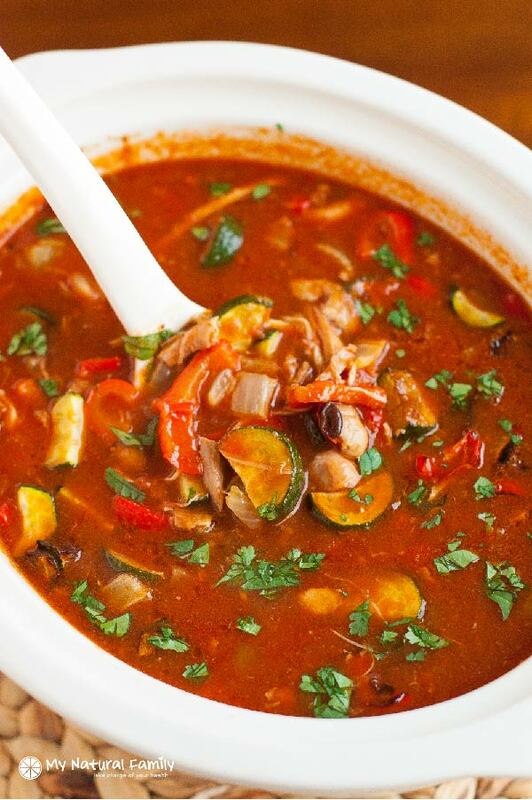 The additional of porcini mushrooms makes this soup a hearty and fragrant choice. Found in the woodlands of Italy, the porcini mushrooms add an earthy quality to an already unique soup. Modified corn starch, sweet whey (milk), maltodextrin, sunflower oil, dehydrated onions, dried porcini mushrooms, sea salt, yeast extract. Contains 2% or less of: garlic, salt, potato granules, sodium caseinate (milk), natural flavors, corn meal, sugar, hydrolyzed corn protein, monosodium glutamate, mono and diglycerides, natural tocopherols, spices, dehydrated chicken sodium aluminosilicate and/or silicon dioxide (flow agent), celery extract. Bring 4 cups of water to a rolling boil. Whisk in soup mix. Reduce heat to medium and simmer uncovered 12 minutes, stirring occasionally. Salt and pepper to taste. Enriched Pasta (Wheat Flour, Niacin, Reduced Iron, Thiamine Mononitrate, Riboflavin and Folic Acid), Hydrolyzed Soy Protein, Corn Syrup Solids, Modified Corn Starch, Onions, Tomatoes, Natural and Artificial Flavor, Corn, Bell Peppers, Chipotle Chilies, Salt, Worcestershire Sauce (Molasses, Vinegar, Corn Syrup Solids, Salt, Caramel Color, Garlic, Spices, Tamarind, Natural Flavor), Spices, Sugar, Carrots, Celery, Parsley, Cilantro, Monosodium Glutamate, Disodium Inosinate and Disodium Guanylate (Flavor Enhancers), Natural Smoke Flavor, Turmeric, Paprika. 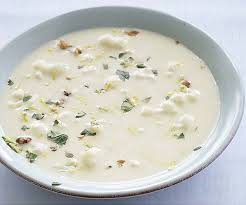 This Three Cheese Soup is ooey, gooey and delicious!! Add potatoes or macaroni to make this soup a complete meal. Bring 3 3/4 cups of water to a boil. Add soup mix and blend well. Return soup to a boil then reduce heat. Simmer about 25 minutes. Stir occasionally. Modified corn starch, cheddar, blue, romano & parmesan cheeses (pasteurized milk, salt, annatto extract, cheese cultures & enzymes), palm oil, corn syrup solids, nonfat milk, dehydrated vegetables (onions, tomatoes, parsley, garlic), salt, maltodextrin, whey, soybean oil, potassium chloride, disodium & dipotassium phosphate, citric & lactic acid, autolyzed yeast extract, natural flavor, sodium caseinate, butter, soy sauce solids (contains wheat & soybeans), mono & deglycerides, xanthan gum, silicon dioxide (prevents caking), soy lecithin, turmeric (color), spice and disodium inosinate & disodium guanylate. 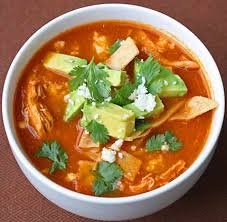 This Tortilla Soup is inspired by authenthic mexican spices. 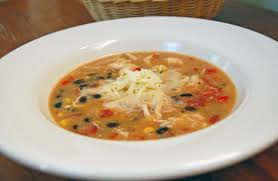 Tortilla Soup contains beans and vegetables in a mouth watering combination. Bring 4 cups of water to a rolling boil. Whisk in soup mix. Reduce heat to Medium and simmer uncovered 15 minutes, stirring occasionally. Salt and pepper to taste. Yield: About 8 one-cup servings. Pinto Beans, Modified Corn Starch, Potatoes, Onions, Red Beans, Salt, Natural Flavor, Sugar, Whey (From Milk), Carrots, Corn, Corn Syrup Solids, Tomatoes, Bell Peppers, Beef Flavor, Chicken Fat, Sugar, Palm Oil, Garlic, Caramel Color, Spices, Parsley, Sodium Caseinate (Milk Protein), Hydrolyzed Soy Protein, Maltodextrin, Autolyzed Yeast Extract, Disodium Inosinate and Disodium Guanylate (Flavor Enhancers), Yellow 6, Turmeric, Paprika. This White Cheddar Vegetable Soup has a rich & creamy cheddar cheese flavor, with rustic potatoes, tomatoes and carrots. Try adding tomatoes, bacon, and shredded cheddar, and serve with rye bread. Yields about 4 one-cup servings. Bring 4 cups of water to a rolling boil. Whisk in soup mix. Reduce heat to Medium and simmer uncovered 10-12 minutes, stirring occasionally. Salt and pepper to taste. Enriched Wheat Flour (Wheat Flour, Niacin, Reduced Iron, Thiamine Mononitrate, Riboflavin, Folic Acid), Whey Solids,Palm Oil, Potatoes, Corn Syrup Solids, Maltodextrin, Tomatoes, Carrots, Corn Starch, Salt, Cheese (Milk, Cheese Cultures, Salt, Enzymes), Milk Solids, Sugar, Onions, Natural and Artificial Flavors, Sodium Caseinate (From Milk), Sodium and Potassium Phosphates, Yeast Extract, Spices, Mono and Diglycerides, Lactic Acid, Calcium Lactate, Guanylate (Flavor Enhancer), Sodium Citrate, Xanthan Gum. 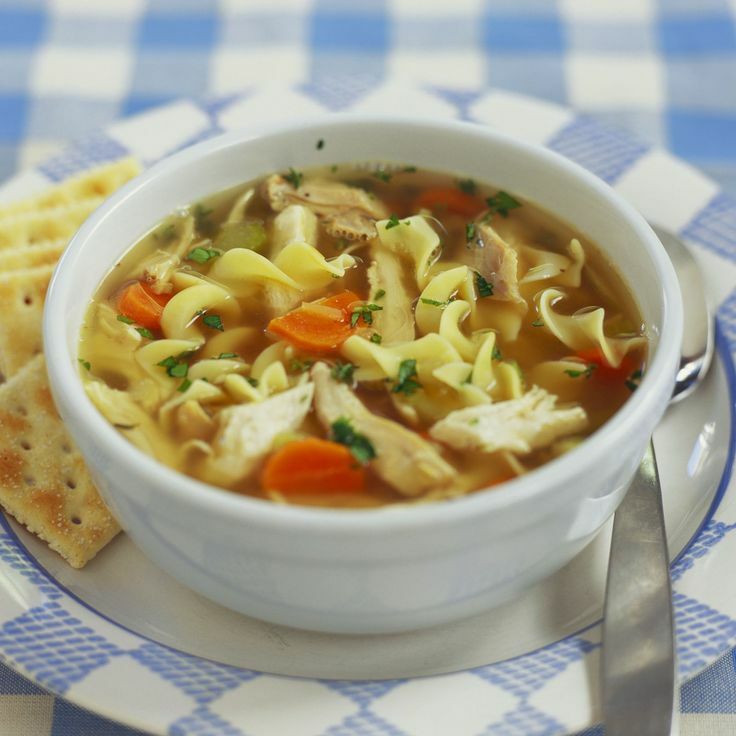 This Lower Sodium Chicken Noodle Soup is a great family favorite this one is great by the package directions or even better with added beef. Delicious! Enriched noodles, (semolina, niacin, ferrous sulfate, thiamin mononitrate, riboflavin, folic acid), dehydrated vegetables (carrot, corn, onion, celery, garlic), corn syrup solids, natural flavors (lactose, whole egg solids), lower sodium sea salt (sea salt, potassium chloride, magnesium salts), hydrolyzed vegetable protein (hydrolyzed soy protein, hydrolyzed corn gluten, ammonium chloride, tartaric acid), sugar, chicken powder (chicken, chicken skin, chicken broth), autolyzed yeast extract, creamer (partially hydrogenated soybean oil, corn syrup solids, sodium caseinate (milk), mono and diglycerides, dipotassium phosphate, soy lecithin), spices including turmeric and parsley, wheat flour, corn starch, salt, chicken fat, silicon dioxide (anti-cake), maltodextrin, yeast extract, citric acid, partially hydrogenated vegetable oil (cottonseed, soybean). This Lower Sodium Minestrone Soup is a great family favorite this one is great by the package directions or even better with added beef. Delicious! Enriched macaroni (semolina, niacin, ferrous sulfate, thiamin mononitrate, riboflavin, folic acid), dehydrated vegetables (onion, carrot, celery, tomato, garlic), dehydrated beans (black, red, green), modified corn starch, natural flavors (butter, non-fat milk solids, molasses, vinegar, soy sauce (wheat, soybeans, salt), sodium caseinate (milk), tamarind, cabbage extract), lower sodium sea salt (sea salt, potassium chloride, magnesium salts), salt, dried beef stock, spices including parsley, sugar, autolyzed yeast extract, partially hydrogenated vegetable oil (cottonseed, soybean), silicon dioxide (anti-cake), dextrose, beef fat, caramel color, BHA. Award winning soup mix great for sauces too. Simply add enough water to rehydrate the vegetables, wait for 3-5 minutes. Mix will thicken. Add additional hot water to get the consistency desired. Great as a sauce for left-over chicken, pork chops, pasta, rice, country fried steak or biscuits. To enjoy as a soup simply add more water and thin it out. This #1 selling soup for five years with good reason! Simply add water, tomato sauce and chicken (optional). Garnish with tortilla chips and cheddar cheese. Cooks in 25 minutes! Makes 4 Cups. In a medium size kettle, add water and whisk in soup mix. Cook, stirring occasionally for 25 minutes or until beans are tender. 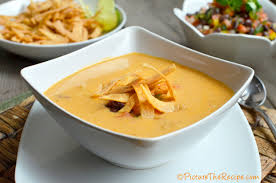 Serve with broken tortilla chips, grated cheddar cheese and chopped green onion sprinkled on top. Dehydrated Vegetables (Pinto Beans, Lentils, Corn, Onion, Bell Peppers, Tomato, Jalapeno Peppers), Baked Tortillas (Corn, Lime, Phosphoric Acid), Seasoning (Salt, Hydrolyzed Soy Protein, Spices, Sugar, Dextrose, Tomato Powder, Dehydrated Garlic and Onion, Safflower Oil, Yeast Extract, Natural Flavors. Allergy Information: This product contains soy. Combine water and soup mix. Bring to a boil, stirring occasionally. Gradually add 1 well-beaten egg to boiling soup, stirring gently in one direction. Remove from heat, season with soy sauce if desired, and serve immediately. Potato starch, lactose (milk), salt, dehydrated corn, sugar, dextrose, natural flavors (whole egg solids), chicken fat, soy sauce solids (naturally fermented from wheat and soybean, salt, caramel color), yeast extract, chives, chinese cabbage extract, disodium inosinate, disodium guanylate, extractives of turmeric, maltodextrin. Contains: Egg, Soy, Wheat, Milk. 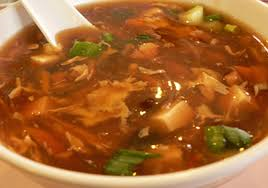 Tangy and soothing Hot & Sour Soup. 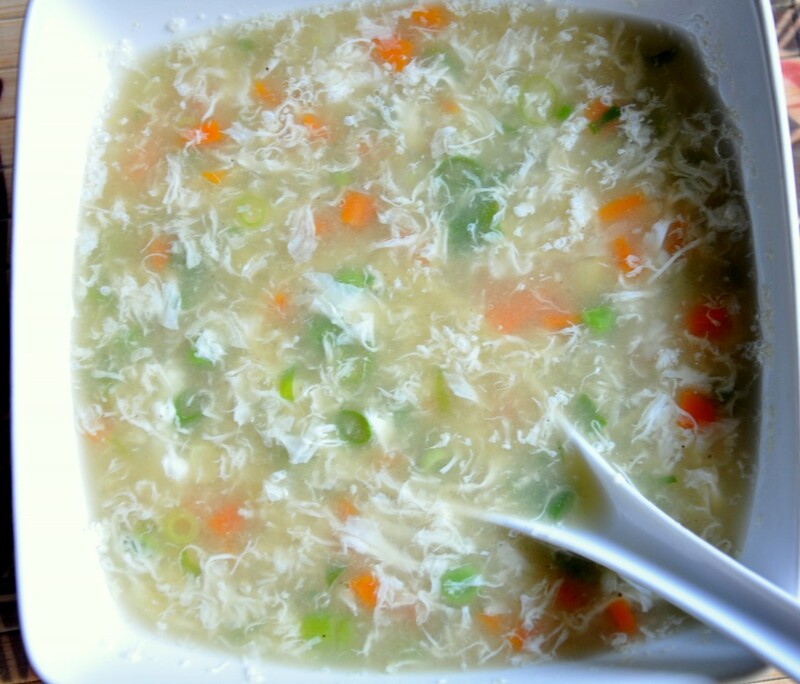 This traditional recipe for Egg Flower Soup with the added zest of vinegar and hot bean paste. Combine water and soup mix. Bring to a boil. Gradually add 1 well-beaten egg to boiling soup, stirring gently in one direction. Remove from heat and serve immediately. Potato starch, salt, glucose, sugar, dehydrated soy sauce (soybeans, wheat, salt, dextrin), monosodium glutamate, dried cloud ear mushroom, citric acid, powdered mushroom extract (black forest mushroom extract, salt, dextrin), dextrin, seasoning base (hydrolyzed protein(soybeans, wheat, corn, yeast), salt, monosodium glutamate, potassium chloride, calcium lactate, sodium succinate, disodium inonsinate, disodium guanylate), dehydrated leek, onion extract powder (dextrin, onion extract), ginger powder, hydrolyzed corn protein, hot bean paste (red pepper, miso (soybeans, rice, salt), salt), sesame oil, caramel color, white pepper, spices, yeast extract, disodium inosinate, disodium guanylate, palm oil. Spicy and hearty all in one. Corn starch, sugar, salt, soy sauce (wheat, soybeans, salt), maltodextrin, salt, dextrose, salt, yeast extract, sesame seed, dextrin, chicken fat, natural flavors, sesame oil, shiitake mushroom, spices, chicken broth, shiitake extract, green onion, disodium inosinate, disodium guanylate, citric acid, casein (milk). Tangy and soothing this is a Spicy Szechwan Soup Mix. Corn starch, sugar, salt, soy sauce (wheat, soybeans, salt), maltodextrin, salt, sweet corn, yeast extract, spices, citric acid, dextrose, dextrin, natural flavors, onion, green onion, red bell peppers, shiitake extract, paprika (as coloring agent), sesame oil, disodium inosinate, disodium guanylate, casein (milk), red cabbage extract (as coloring agent). 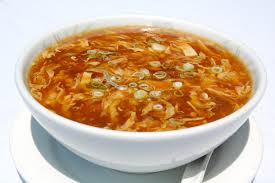 Add this favorite Chinese soup to any menu! The hearty goodness of pork stock is delicately flavored with carrots, forest mushrooms and leeks. Potato starch, salt, powdered pork extract (pork extract, pork oil, salt, dextrin, monosodium glutamate, disodium inosinate, disodium guanylate), powdered lard (lard, lactose (milk), dextrin), dehydrated carrot, dextrin, monosodium glutamate, dehydrated black forest mushroom, sesami oil, dehydrated leek, dehydrated soy sauce (soybeans, wheat, salt, dextrin), ginger powder, sugar, yeast extract, onion powder, garlic powder, caramel color, disodium ribonucleotide, sodium succinate, red pepper, star anise. "Lenticchie" is the name given to the very simple yet delicious soup known as lentil. The brown lentils used in this Sicilian classic are embellished with small cut pasta and bits of carrot, garlic and of course, finocchio ( the bulb of the fennel plant). Dehydrated Lentil Beans, Pasta (Durum Semolina, (Niacin, Ferrous Sulfate, Thiamine, Mononitrate, Riboflavin added)), Dehydrated Vegetables (Onion, Carrots, Tomato, Garlic, Celery, Parsley), Salt, Sugar, Corn Cereal Solids, Maltodextrin, Monosodium Glutamate, Spices, Hydrolyzed Corn Gluten, Partially Hydrogenated Soybean and Cottonseed Oil, Dehydrated Chicken Meat, Caramel Color, Disodium Inosinate, Disodium Guanylate, Sodium Aluminosilicate (Anti-Caking Agent). 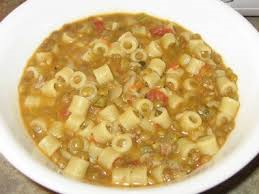 In Sicilian, the word "spaccarelli" is a combination of the word "spaccare" (to break) and "piselli" (green peas). 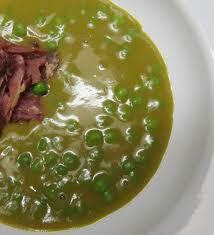 This authentic rendition of this heart-warming split pea soup includes carrots, peas, garlic and ditali pasta. Simply delicious. Reduce heat to medium and cook uncovered for 12-14 minutes. 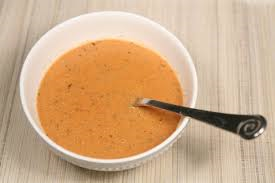 Soup should bubble during cooking. Stir occasionally. Dehydrated green peas, pasta (durum wheat semolina, (niacin, ferrous sulfate, thiamine mononitrate, riboflavin added)), dehydrated vegetables (carrots, onion, garlic, tomato), corn cereals solids, salt spices, natural flavor (hydrolyzed corn gluten, soy protein and wheat gluten, partially hydrogenated soybean and cottonseed oils, torula yeast, autolyzed yeast extract, natural flavor), sugar, disodium inosinate, disodium guanylate. This Tomato Parmesan Bisque is a true classic with a few twists. Roasting the tomatoes makes them savory and flavorful while the Parmesan adds a richness only a cheese can. Whisk contents of package into 2.5 cups warm water. Lower heat and simmer 25-30 minutes. Stirring occasionally. Dehydrated Vegetables (Tomato, Red Bell Pepper, Onion, Garlic), Maltodextrin, Natural Flavor, Corn Starch, Coconut Oil, Corn Syrup Solids, Nonfat Dry milk, Salt, Palm Oil, Sugar, Hydrolyzed Soy Protein, Spices, Sodium Caseinate, Dipotassium Phosphate, Soy Lecithin, Artificial Flavor, Turmeric. 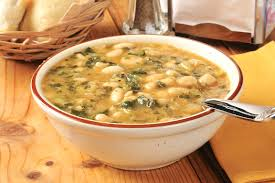 The White Bean Soups of Tuscany are unforgettable. These white beans are in a rich, thick broth that is laden with the taste of vegetables. Carrots, peas, zucchini, broccoli, and garlic are all found in this delicious soup. The taste of this rustic, yet elegant soup will long be remembered. Add soup mix and stir for one minute. Stir frequently to avoid possible overflow. Remove from heat. For authentic Italian taste, stir in 1 tablespoon extra virgin olive oil and sprinkle with grated cheese (optional). Serve and enjoy. Dehydrated Navy Beans, Pasta (Durum Wheat Semolina, (Niacin, Ferrous Sulfate, Thiamine Mononitrate, Riboflavin added)), Dehydrated Vegetables (Carrots, Tomato, Garlic, Peas, Zucchini, Broccoli, Celery, Onion, Parsley), Corn Cereal Solids, Salt, Maltodextrin, Monosodium Glutamate, Sugar, Hydrolyzed Corn Gluten, Partially Hydrogenated Soybean, Cottonseed & Corn Oil, Autolyzed Yeast Extract, Sunflower Oil, Dehydrated Chicken Meat, Spices, Turmeric, Disodium Inosinate, Disodium Guanylate, Sodium Bisulfite to Preserve Freshness, Sodium Aluminosilicate (Anti-Caking Agent). Contains Wheat & Sulfite Products. This Vegetable Beef Soup contains hearty vegetables, noodles, and lentils in a savory beef broth. 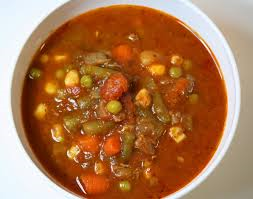 Bear Creek's Vegetable Beef Soup is great as a soup or add beef and make a homestyle stew. Bring 4 cups of water to a rolling boil. Whisk in soup mix and 1/2 can (4 oz) tomato sauce. Reduce heat to medium and simmer uncovered 10 minutes, stirring occasionally. Salt and pepper to taste. Yield: About 4 one-cup servings. Store in a cool dry place. Enriched Long Grain Rice (Iron, Niacin, Thiamine Mononitrate, Folic Acid), Barley, Lentils, Hydrolyzed Soy, Corn and Wheat Protein, Natural Flavor, Potatoes, Enriched Pasta (Wheat Flour, Niacin, Reduced Iron, Thiamine Mononitrate, Riboflavin, Folic Acid), Peas, Onions, Carrots, Salt, Sugar, Cornstarch, Garlic, Celery, Spices, Beef Stock, Beef Fat, Caramel Color, Maltodextrin, Citric Acid, Beef Broth, Partially Hydrogenated Soy and Cottonseed Oil, Disodium Inosinate and Disodium Guanylate (Flavor Enhancer). This Premium Abilene White Bean and Lime Chili Mix is made With a blend of white beans and a hint of lime. 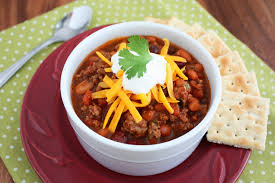 This mild chili has become a new staple in the chili family. 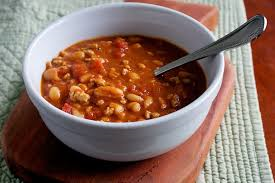 The perfect host for chicken or pork, White Bean Chili extends the chili meal opportunity to occasions where a more robust chili might feel out of place or overdressed or just plain lost! Bring water to a rolling boil. Whisk in soup mix. Reduce heat to Medium and simmer uncovered 20 to 25 minutes, stirring occasionally. If desired, add 1/2 pound cooked ground beef or chicken the last ten minutes of cook time. Package yields about 4 one cup servings. Parsley, Silicon Dioxide), Sweet Whey, Sea Salt, Cheddar Cheese Powder (Cheddar Cheese (Pasteurized Milk, Salt, Cheese Culture Enzymes), Salt, Lactic Acid, Natural Flavors), Onion Powder, Citric Acid, Lactic Acid, Xanthan Gum, Lime Juice Powder, Natural Color. 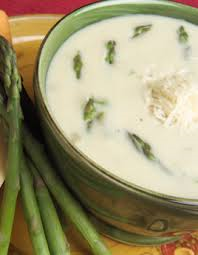 This White Cheddar Asparagus Soup is a very rich & creamy soup, made with slices of flavorful asparagus and white cheddar cheese. Simply add water! Whisk contents of package into 2 1/2-3 cups warm water. Bring to a boil. Lower heat and simmer 20 to 25 minutes. Cheddar Cheese Powder [Whey, Cheddar Cheese (Milk, Cheese Culture, Salt Enzymes), Butter, Buttermilk, Salt, Sodium Phosphate, Lactic Acid, Natural Flavor, Artificial Color, Yellow 6], Wheat Flour (Malted Barley, Niacin, Iron, Thiamin, Mononitrate, Folic Acid), Modified Food Starch, Non-Fat Dry Milk, Chicken Base (Salt, Sugar, Chicken Fat, Maltodextrin, Hydrolyzed Corn Soy Wheat Gluten Protein, Onion Powder, Turmeric, natural Flavor), Asparagus Powder, Dehydrated Asparagus, Xanthan Gumm, Spice, Garlic powder, Disodium Inosinate and Guanylate, and Not More than 2% Silicon Dioxide Added to Prevent Caking. There is a saying about soups in Southern Italy that states,"Sette cose fa la zuppa" which translates to "Soup does seven things". It relieves your hunger, quenches your thirst, fills your stomach, cleans your teeth, makes you sleep, helps you digest and colors your cheeks." This soups is a lot like chicken noodle soup with an Italian flair! "Raviolini in Brodo" is real Italian comfort food. 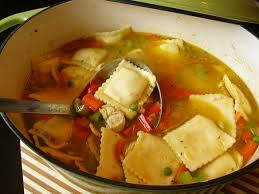 Plump, cheese stuffed raviolini afloat in rich rasting, flavorful chicken broth make for a satisfying single bowl meal. Bits of carrot, celery, onion and chicken add to the balance of tastes. Add mix and stir for one minute. Reduce heat from high and cook uncovered for 15 minutes. Soup should slightly boil for the entire duration of cooking. Remove from heat. For authentic Italian taste sprinkle with grated cheese (optional). Serve and enjoy! Raviolini (durum wheat semolina, eggs, parmesan cheese and gouda cheese, bread crumbs, corn oil, salt, pepper, nutmeg, natural flavorings), dehydrated vegetables (carrots, peas, onions, celery, garlic), salt, spices, yeast extract, corn cereal solids, sugar, monosodium glutamate, maltodextrin, hydrolyzed corn gluten, partially hydrogenated soybean and cottonseed oil, potato starch, dehydrated chicken meat, tomato powder, corn oil, white wine, annatto (for color), disodium inosinate, disodium guanylate, sodium aluminosilicate (anti-caking agent). CONTAINS WHEAT, MILK, AND EGG PRODUCTS. Every bit as good as you imagined it to be and so easy too! Bring 3 cups of water to a rolling boil. Whisk in mix. Reduce heat and simmer 20 minutes, stirring occasionally. Add 1 cups milk and continue simmering 10 minutes or to desired thickness. Soup can be prepared with water only. Light cream can be used in place of milk. 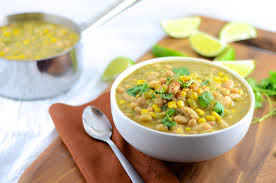 Up to 1 cups of frozen whole kernal corn can be added with the soup mix or 1 can of creamed corn during the cooking time. 1 to 2 cups cooked, diced chicken or ham can be added during simmer time. Dehydrated Vegetables (corn, potatoes, red and green bell peppers, carrot), Maltodextrin, Wheat Flour, Modified Corn Starch, Creamer, Salt, Corn Masa, Chicken Fat, Sugar, Nonfat Dry Milk, Hydrolyzed Soy Protien, Natural and Artificial Flavors, Dextrose, Autolyzed Yeast Extract, Dehydrated Onion, Spices and Color, Guar and Xantham Gums, Disodium Inosinate, Disodium Guanylate. 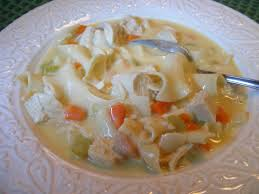 This Creamy Chicken Soup is a rich and creamy homestyle chicken soup with shell pasta, carrots and celery. Try adding fresh parsley, cheese, bacon, and croutons then serve with a loaf of warm, crusty French bread. Bring 4 cups of water to a rolling boil. Whisk in soup mix. Reduce heat to Medium and simmer uncovered 10 to 12 minutes, stirring occasionally. Salt and pepper to taste. Yield: About 4 one-cup servings. Enriched Pasta (Wheat Flour, Niacin, Reduced Iron, Thiamine Mononitrate, Riboflavin, Folic Acid), Corn Syrup Solids, Palm Oil, Corn Starch, Hydrolyzed Corn Protein, Salt, Maltodextrin, Sodium Caseinate (From Milk), Onions, Carrots, Celery, Parsley, Sugar, Autolyzed Yeast Extract, Natural and Artificial Flavors, Chicken Fat, Cooked Chicken, Spices, Disdoium Inosinate and Disodium Guanylate (Flavor Enhancer), Turmeric (Color), Paprika (Color), Annatto (Color). This Creamy Potato Soup contains parsley and spices, delicately blended, to highlight this cream based potato soup that can be customized by adding all sorts of meats and vegetables or cheese. Potatoes, Modified Corn Starch, Maltodextrin, Palm Oil, Whey (From Milk), Onions, Salt, Sea Salt, Monosodium Glutamate, Natural Chicken Flavor, Partially Hydrogenated Soybean Oil, Sherry Wine Flavor, Sodium Caseinate (From Milk), Parsley, Garlic, Autolyzed Yeast Extract, Disodium Inosinate and Disodium Guanylate (Flavor Enhancers), Spices, Titanium Dioxide (Color), Yellow #5. 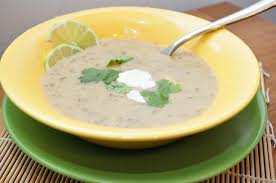 This Creamy Wild Rice Soup is a smooth and creamy gourmet soup highlighted by long-grain wild rice. 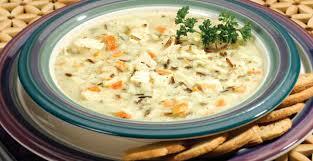 Creamy Wild Rice Soup is a great soup with chicken, turkey, or mushrooms. Enriched Long Grain Rice (Iron, Niacin, Thiamine Mononitrate, Folic Acid), Modified Food Starch, Wild Rice, Corn Syrup Solids, Natural Chicken Flavor, Chicken Fat, Maltodextrin, Palm Oil, Salt, Onions, Carrots, Celery, Sugar, Garlic, Tomatoes, Bell Peppers, Parsley, Sodium Caseinate (From Milk), Hydrolyzed Corn and Soy Protein, Autolyzed Yeast Extract, Disodium Inosinate and Disodium Guanylate (Flavor Enhancers), Xanthan Gum, Turmeric, Paprika, Spices, Titanium Dioxide (Color). Just like they serve in your favorite restaurant! Simply add water and a sliced onion. Garnish with toast round topped with gruyere or swiss cheese. Cooks in 30 minutes. Makes 4 Cups. In a small kettle, add water and onion and whisk in soup mix. Cook over medium heat for 25 minutes. 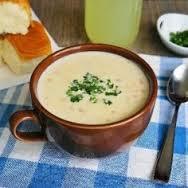 Pour into soup crocks and cover soup with croutons or slice of toasted bread. Top with sliced Provolone or Swiss cheese and broil until golden brown. Seasoning (maltodextrin, hydrolyzed corn and soy protein, modified corn starch, salt, sugar, autolyzed yeast extract, tomato powder, natural flavors, spices disodium inosinate and disodium guanylate, parmesan cheese (from pasteurized cows milk, cheese culture, salt, enzymes, powdered cellulose (anti-caking agent) and calcium), wine solids, caramel color, less than 2% silicon dioxide), dehydrated vegetables (onion, shallot, chive). Allergy Information: This product contains milk and soy. 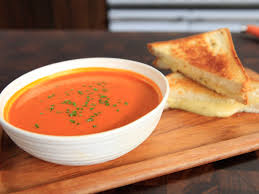 This Grilled Cheese and Tomato soup is reminiscent of a childhood favorite. Easy to prepare and super tasty! Garnish with buttered croutons or grilled bread pieces. Or serve with a grilled cheese sandwich to bring out your inner child! Combine mix with 3 cups of water. Bring to a boil. Reduce heat and simmer for 1-2 minutes, stirring occasionally. Serve. Creamer (partially hydrogenated soybean oil, corn syrup solids, sodium caseinate, dipotassium phosphate, mono and diglycerides, nonfat milk), dehydrated tomato, whey wheat flour, modified corn starch, sugar, cheddar cheese powder [cheddar cheese (pasteurized milk, cheese cultures, salt, enzymes), whey, disodium phosphate, lactic acid), salt, natural flavors (yeast extract, maltodextrin, dried cream (heavy cream, whey protein concentrate, sodium aluminosilicate), romano cheese powder (pasteurized milk, cheese cultures, salt, enzymes), annatto and turmeric colors), dehydrated onion, bacon (cured with water, salt, sugar, sodium phosphate, sodium ascorbate, sodium nitrite), silicon dioxide (anti-foaming agent), chicken fat (extractives of rosemary), dehydrated garlic, hydrolyzed soy protein, sodium stearoyl lactylate, disodium inosinate, disodium guanylate, malic acid, extractives of paprika. 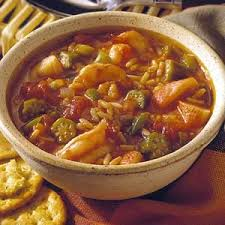 This Gumbo Soup is rice, tomatoes, carrots, peppers, okra, celery and spices combined to make a delicious and easy to prepare gumbo. Bring 4 cups of water to a rolling boil. Whisk in soup mix. Reduce heat to medium and simmer covered 20 minutes, stirring occasionally. Salt and pepper to taste. For variety, try adding Italian sausage, shrimp, chicken, okra and/or cooked rice. Fulfill your inner cravings with this satisfying gourmet sensation. You'll think you traveled to the French Quarter. Bring 4 cups of water to a rolling boil. Whisk in mix. Reduce heat and simmer 15 minutes, stirring occasionally. 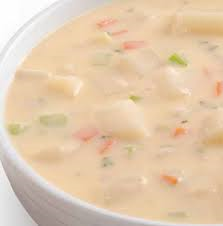 For a heartier soup, add 1/2 - 1 pound of peeled and cooked shrimp ,crab, or cooked sausage. Just add cooked meat to the saucepan after cooking and let sit for a few minutes. For a spicier version, add your favorite hot sauce. Enriched Long Grain Rice, Modified Corn Starch, Wheat Flour, Dehydrated Garlic and Onion, Salt, Autolyzed Yeast Extract, Hydrolyzed Corn Gluten, Soy Protien and Whean Gluten, Natural and Artificial Flavors, Dehydrated Red and Green Bell Pepper, Spices, Sugar, Chicken Fat, Dehydrated Okra, Toasted Wheat Flour, Worcester Sauce, Solids, Caramel Color, Disodium Inosinate, Disodium Guanylate, Maltodextrin. 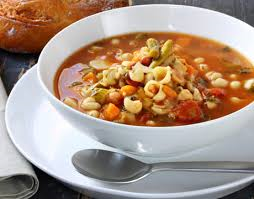 This Minestrone Soup is a traditional Italian soup with noodles and tender vegetables--flavored to perfection. Bring 4 cups of water to a rolling boil. Whisk in soup mix. Reduce heat to medium and simmer uncovered 15 minutes, stirring occasionally. Salt and pepper to taste. Store in a cool dry place. Enriched Pasta (Wheat Flour, Reduced Iron, Thiamine Mononitrate, Riboflavin, and Folic Acid), Carrots, Tomatoes, Onions, Red and Black Beans, Natural Flavor, Chicken Fat, Beef Stock, Hydrolyzed Soy Protein, Potatoes, Modified Corn Starch, Salt, Sugar, Corn, Celery, Green Beans, Autolyzed Yeast Extract, Basil, Parsley, Spices, Cabbage, Caramel Color, Garlic, Spinach, Maltodextrin, Citric Acid, Disodium Inosinate and Disodium Guanylate (Flavor Enhancers). This Navy bean Soup is an American classic. Great Northern beans with carrots in an appetizing smoky broth make up this delicious soup. Great Northern Beans, Potatoes, Modified Corn Starch, Natural and Artificial Flavor, Hydrolyzed Soy Protein, Onions, Salt, Carrots, Whey (From Milk), Tomatoes, Navy Beans, Celery, Maltodextrin, Palm Oil, Sherry Wine Flavor, Garlic, Parsley, Vinegar, Sodium Caseinate (From Milk), Turmeric, Paprika, Spices, Annatto Color, Autolyzed Yeast Extract, Disodium Inosinate and Disodium Guanylate (Flavor Enhancers). This Spanish Bean Soup is an authentic rendition of the famed Spanish classic. 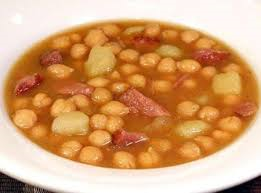 A thick, hearty broth is laden with garbanzo beans (chickpeas), potatoes, green and red bell peppers and the taste of bay leaves and chorizo (Spanish sausage), which result in a memorable, rustic soup. Reduce heat to medium and cook uncovered for 12 - 14 minutes. Soup should bubble during cooking. Stir occasionally. Remove from heat. For authentic taste, stir in 1 tablespoon extra virgin olive oil. Serve and enjoy. Garbanzo Beans, Dehydrated Vegetables (Potato, Garlic, Onion, Red and Green Bell Peppers, Tomato, Parsley), Corn Cereal Solids, Salt, Modified Food Starch, Monosodium Glutamate, Sugar, Partially Hydrogenated Corn Oil, Natural Flavor (Hydrolyzed Corn Gluten, Soy Protein and Wheat Gluten, partially Hydrogenated Soybean and Cottonseed Oils, Torula Yeast, Autolyzed Yeast Extract, Natural Flavor), Dehydrated Chicken Meat, Spices, Turmeric, Disodium Inosinate, Disodium Guanylate. 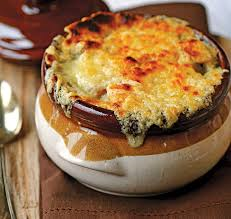 This Baked Potato Soup has generous chunks of potato complimented with onion and blended in a rich, hearty cream base. Requires 2½ cups of water for easy preparation. 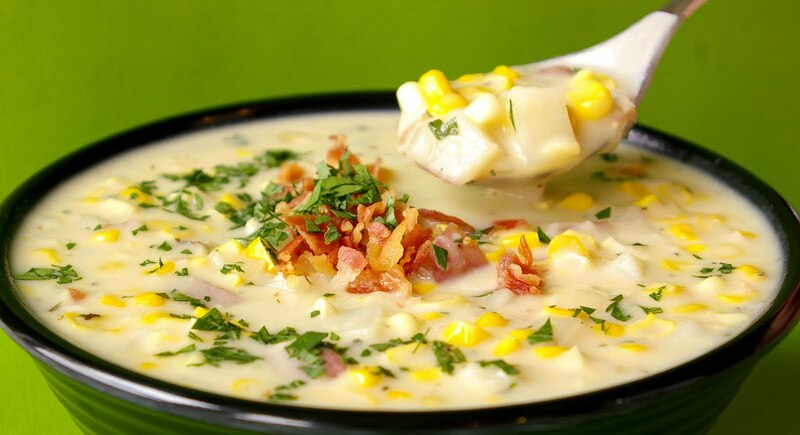 For variety, garnish with chopped bacon, cheddar cheese and green onions, or add corn and green chilies. Dehydrated Potato and onion, rice flour, soybean oil, corn syrup solids, corn starch, nonfat dry milk, sea salt, parmesan cheese (pasteurized milk, cheese cultures, salt and enzymes), yeast extract, sodium caseinate (a milk derivative), sugar, onion and garlic powders, natural flavors, mono and diglycerides, spices, chicken fat, hydrolyzed soy protein, dipotassium phosphate, silicon dioxide (anti-caking), soy lecithin, and turmeric (color). Allergy Information: This product contains milk and soy products. In a small sauce pan, whisk soup mix into water. Bring to a boil, stirring often. Reduce heat and simmer uncovered 15 minutes, stirring often. In a large pot over medium heat, whisk in ingredients and bring to a boil, stirring often. Reduce heat and cook uncovered 15 minutes, stirring often. We've combined the delicious flavors of two American classics: buffalo wings and chili - into one perfect dish with this Gluten Free Buffalo Chicken Chili. 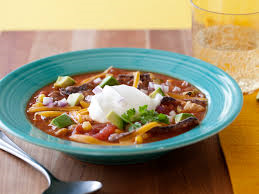 This medium heat level chili is full of spices, peppers, onion and beans. Simply add water, diced tomatoes and cooked chicken for a meal you will want to make over and over again. It's fantastic and convenient using the slow cooker too. Makes about 8 - one cup servings. Dehydrated Northern and Pinto Beans, Vinegar Powder, Corn Starch, Dehydrated Onion and Bell Pepper, Maltodextrin (From Corn), Salt, Paprika, Onion and Garlic Powder, Spices, Sea Salt, Yeast Extract (From Gluten Free Bakers Yeast), Sugar, Rendered Chicken Fat, Hydrolyzed Corn Protein, Extractives of Celery. In a large pot, whisk together chili mix and water. Add tomatoes. Bring to a boil, stirring often. Reduce heat and simmer for 25 minutes, stirring often. Stir in chicken and butter. Continue cooking for 5 minutes (or until bean sand vegetables are tender), stirring frequently. For Variety add hot sauce to taste. Stir in 2 Tbsp. sour cream before serving. Garnish with blue cheese crumbles and chopped bacon. Combine water and seasoning packet in a sauce pan and blend well. Bring to a boil, stirring often. Remove from heat and stir in chicken, sour cream, tomatoes and green chilies. Evenly spread uncooked rice into a large casserole dish. Ladle soup mixture over rice. Bake for 30 minutes at 350 degrees. Remove casserole and top with cheese and corn chips. Bake an additional 5 minutes. Let stand 10 minutes before serving. 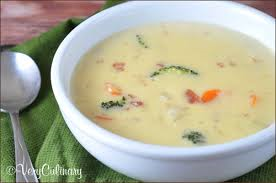 This Cheddar Broccoli Soup is rich cheddar cheese combined with a hint of blue cheese creates a creamy base with broccoli and a hint of onion. Requires 2½ cups of water for easy preparation. For variety, add ½ cup diced chicken. Add croutons as a garnish. Cheddar and blue cheese blend (whey, cheddar cheese (pasteurized milk, cultures, salt and enzymes), salt, butter, buttermilk, sodium phosphate, natural flavors, lactic acid), corn starch, soybean oil, corn syrup solids, dehydrated broccoli and onion, rendered chicken fat, hydrolyzed soy protein, sea salt, sodium caseinate (a milk derivative), silicon dioxide (anti-caking), mono and diglycerides, salt, yeast extract (from gluten free bakers yeast), xanthan gum, dipotassium phosphate, spices, citric acid, disodium phosphate, extractives of annato (color). In a small sauce pan, whisk soup mix into water. Bring to a boil, stirring often. Reduce heat and simmer uncovered 10 minutes, stirring often. Preheat oven to 350 degrees. Grease an 8x8 inch casserole dish. In a large bowl, mix together soup mix, water, butter and instant rice. Pour into casserole dish. Top with diced chicken and cheese. Cover and bake 30 minutes. Let stand 5 minutes before serving. 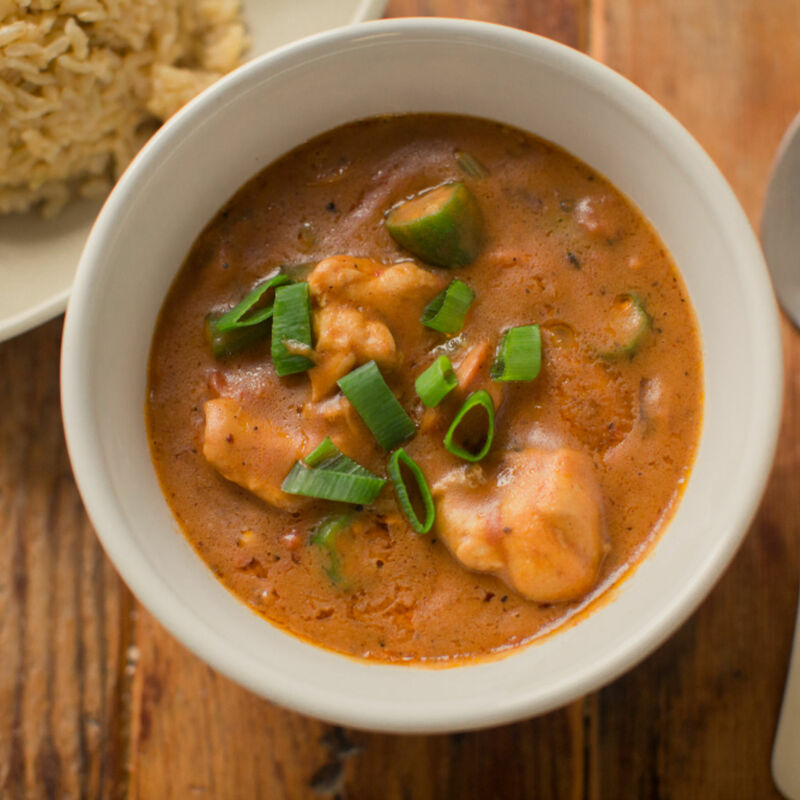 This Gluten Free Chicken Gumbo is true Louisiana comfort food! 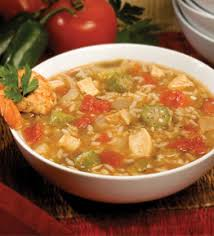 This gumbo mix combines long grain rice, bell pepper, tomato, onion and celery in a rich roux base. Just add shredded chicken and water, then take your family to New Orleans without leaving your kitchen table. In a 2-quart sauce pan, whisk Chicken Gumbo mix into water. Stir in Andouille or smoked sausage.Bring to a boil, stirring often. Reduce heat and cook uncovered 20 minutes, stirring often. Add shrimp and simmer 5 minutes, stirring often. Maltodextrin, rice flour, parboiled long grain rice, dehydrated bell pepper, tomato, onion, celery and garlic, rendered chicken fat, natural roux flavor (soy flour, tapioca starch, autolyzed yeast extract, natural flavor (contains soybeans and lipolyzed butter oil)), hydrolyzed soy protein, salt, spice,s tomato powder, natural worcestershire flavor (salt, sugar, dextrose, maltodextrin, hydrolyzed soy protein, spices, natural flavors, molasses ), mustard flour and yeast extract. 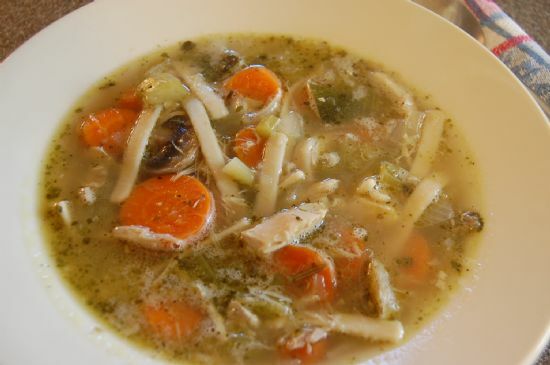 This Chicken Noodle Soup is tender cork screw pasta blended with peas, carrots, onion, celery, garlic and potatoes in a rich, avorful chicken broth. Requires 2½ cups of water for easy preparation. For variety, add ½ cup cooked diced chicken or ½ cup chopped fresh vegetables. Back of box includes an alternative recipe for a delicious family dinner favorite, Hearty Chicken & Noodle Bake. Pasta (corn flour, rice flour and mono and diglycerides), maltodextrin (from corn), rendered chicken fat and broth, dehydrated onion, carrots, potatoes, green peas, celery and garlic, corn starch, hydrolyzed corn protein, salt, sea salt, sugar, yeast extract (from gluten free bakers yeast), spices, celery seed, xanthan gum, and turmeric (color). Preheat oven to 350 degrees. In a saucepan whisk soup mix into the chicken stock. Bring to a boil, stirring often. Reduce heat and simmer 10 minutes. Dissolve corn starch in the water, then stir into soup mix. Add mixed vegetables and cooked diced chicken. Transfer to an 8x8 inch casserole dish. Mix melted butter with bread crumbs. Evenly spread bread crumbs over chicken mixture. Bake 45 minutes and let stand 5 minutes before serving. This Gluten Free Chicken Tortilla is flavored with chicken and tomato broth, green chili, corn, cilantro and a touch of lime. Top with shredded cheese and tortilla strips for a delicious presentation. All you add is diced tomatoes and chicken. Combine tomato paste, Chicken Tortilla Soup Mix, and water in a 1-quart sauce pan. Bring to a boil over medium heat. Reduce heat and simmer 10 minutes. Maltodextrin, ground white corn with a trace of lime, dehydrated onion, corn, bell pepper, carrot, garlic, celery and green chiles, salt, spices including chili pepper, rendered chicken fat, sugar, onion and green chili powder, lime juice powder (maltodextrin, lime juice and lime oil), yeast extract, hydrolyzed corn protein, natural flavors, cilantro, xanthan gum and turmeric (color). 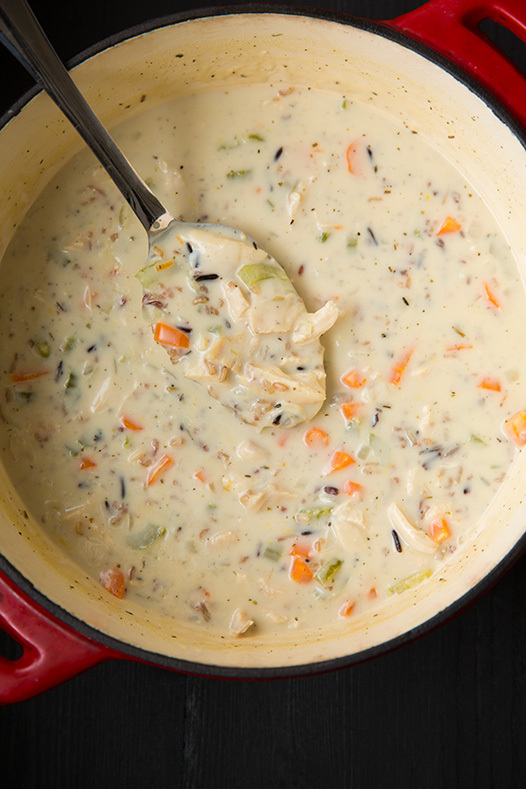 This Creamy Chicken & Wild Rice Soup is a thick, creamy base with long grain and wild rice combined with onion, carrots and celery. Requires 2¾ cups of water for easy preparation. For variety, add ½ cup cooked diced chicken and ½ cup chopped fresh sliced mushrooms. Wild rice and parboiled long grain rice, rice flour, soybean oil, corn starch, corn syrup solids, dehydrated onion, carrot and celery, amlatodextrin (from corn), potato flour, hydrolyzed soy protein, nonfat milk, rendered chicken fat, salt, sea salt, yeast extract (from gluten free bakers yeast), mono and diglycerides, natural flavors, xanthan gum, silicon dioxide (anti-caking), dipotassium phosphate, spices, garlic powder, soy lecithin and turmeric (color). In a large pot over medium heat, whisk in ingredients and bring to a boil, stirring often.Transfer to an 8x8 inch casserole dish and cover tightly with foil. Bake for 45 minutes or until rice is tender. Let stand 5 minutes before serving. This Gluten Free French Onion Pot Roast tastes like the pot roast your mother used to slow roast all day. This soup has a rich beefy base chocked full of potatoes, onion, carrots and celery. All you add is cubed sirloin and water. This mix also makes a great base for a slow cooker pot roast when you need to feed a hungry crowd. Heat vegetable oil in a 2 quart pot. Add steak and sear on all sides. Add water and seasoning. Bring to a boil, stirring often. Reduce heat and simmer gently for 20 minutes, stirring occasionally. Salt and pepper to taste. 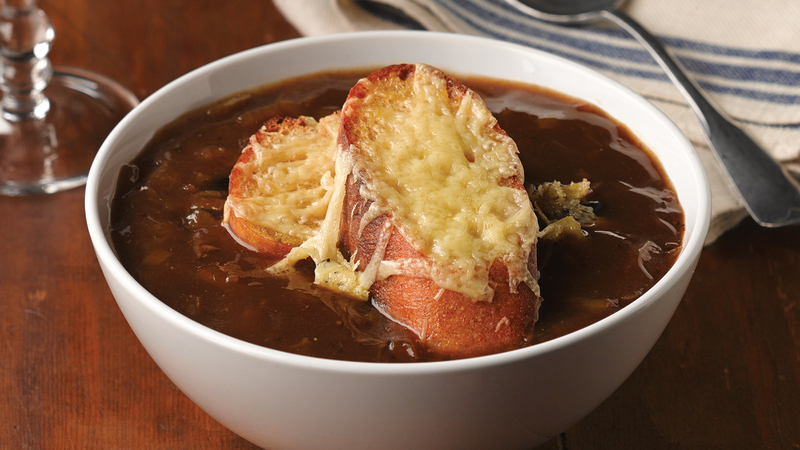 In a crock pot, combine water and Laurie's Kitchen French Onion Pot Roast Soup Mixes. Add roast, potatoes, onions and baby carrots. Cover. Cook on high setting 5-6 hours or on low 8-9 hours or until roast is done. Dehydrated onion, potato, carrot and celery, maltodextrin, rice flour, natural roast beef flavor (rendered beef fat, salt, beef stock, autolyzed yeast extract, spice), corn starch, onion and garlic powder, hydrolyzed soy protein, spices, yeast extract and xanthan gum. 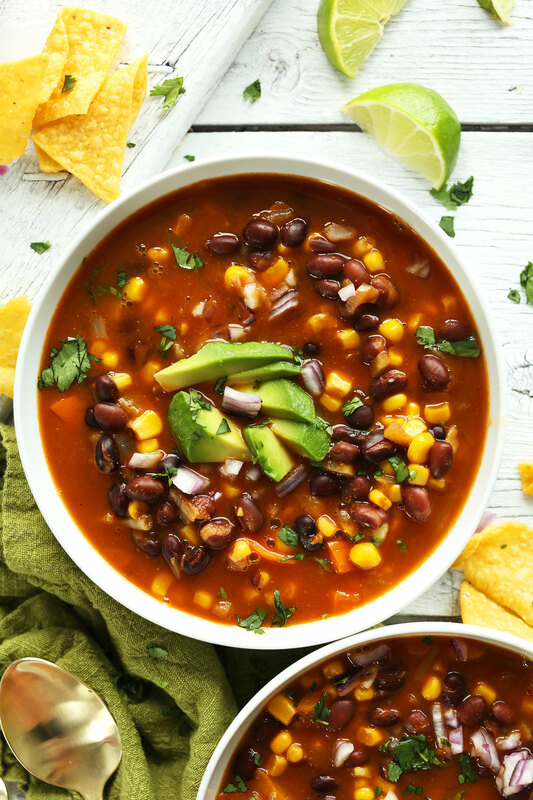 This Gluten Free Southwest Black Bean Chili lets you gather round the campfire for this traditional southwest dish, made with a blend of black beans, bell peppers, onion, garlic, and chili. All you need to add is tomatoes, water, and your choice of beef, turkey, pork or chicken. It's fantastic and convenient using the slow cooker too. Makes about 8 - one cup servings. Dehydrated black beans, bell pepper, onion and garlic, rice flour, spices including chili pepper, salt, maltodextrin, yeast extract (from gluten free baker's yeast), hydrolyzed soy protein, brown sugar, garlic and onion powder, sugar, beef stock, natural flavors, caramel color and celery seed. In a large pot, crumble and brown meat. Drain fat and set aside. In the same pot, whisk together chili mix and water. Add tomatoes and browned meat. Bring to a boil, stirring often. 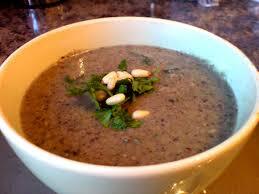 Reduce heat and simmer for 25-30 minutes, or until bean sand vegetables are tender, stirring frequently. For Variety add diced green chilies and top with grated cheddar cheese. This Gluten Free White Bean Chili is so delicious and is such a unique combination of flavors unlike anything you've ever tasted. We combine chicken broth, white beans, green chilis, corn, cumin and other delicious ingredients to make this mild but flavorful dish. All you add is water and cooked chicken. This is true comfort foods and fantastic using the slow cooker too. Makes about 6 - one cup servings. Dehydrated northern beans, corn, tomato, onion, bell pepper, potato and garlic, rice flour, chicken fat, salt, hydrolyzed corn protein, chicken broth, spices including cilantro, green chile and jalapeno powder, sugar, yeast extract (from gluten free baker's yeast), and natural flavors. In a large pot whisk together chili mix and water. Bring to a boil, stirring often. Reduce heat to medium and simmer for 25 minutes, stirring often. Add chicken and continue cooking for 5 minutes, or until beans and vegetables are tender, stirring frequently. For Variety add diced green chilies and 1 can white corn, drained.